A 4-bedroom ski chalet which can sleep 9, situated in the ski resort of Vail in USA. Chalet 926 INC FLIGHTS has a Hot tub, Fireplace, TV and Wifi, and is available for holiday rent on a Catered basis. Catered chalet 927 inc flights is a 4 bedroom ski chalet that can comfortably accommodate 8 people. 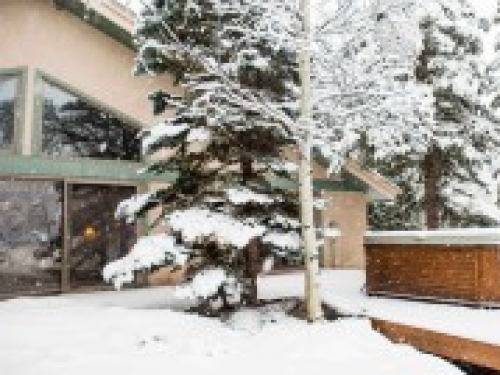 Located in the American ski resort of Breckenridge it is available on a Catered basis. The property also features a Hot tub, TV and Wifi. Located in the American ski resort of Winter Park. Fraser Crossing & Founders Pointe has 1 bedroom and can accommodate upto 4 people on a Self catering basis. This ski apartment also features a Hot tub, Fireplace and TV.